No piece of art has ever had as profound an impact on my life than Mulholland Dr. I say, in a very literal way, that Mulholland Dr. changed my life. I had never looked at cinema as an art form before, I actually had hardly looked at cinema before. I grew up in a single parent home with a childhood filled with independence and responsibility. Needless to say, there was no time for films or television. I was that person on the other side of mouth open stares hearing "how have you never seen (insert film name here)" I don't begrudge my childhood, I read a lot and enjoyed time with my friends, started working at a young age and never thought about movies much. I was always out of the pop culture loop all the way through high school. I worked more than full-time in politics before college which led me to start my undergraduate work when I was 20. I took enough credits to need a signature from an academic advisor and in all the hustle of meetings and trying to gain approval for taking on so many hours I had forgotten even signing up for what I thought the most inconsequential class would be: Introduction to Film Studies. I had heard that the professor that taught the Film Studies course I signed up for also taught an extensive Shakespeare class, however, the class wasn't running that semester. I had heard he was tough and thought that if I had previous experience with him in a classroom that it would serve my goal of being able to get into his Shakespeare class. As a huge fan of Shakespeare, that's all this class was going to serve, to me, some face-to-face contact with a professor so that it may help me get into another one of his classes. The first film we discussed was Pulp Fiction, which I surprisingly had seen before, and the main focus of our study was cuts. The first week was eye-opening acting as a fine introduction to an aspect of film I had never considered before. The second film our class studied was one I had never heard of before: Mulholland Dr. The Professor, who cryptically preferred to be called Dr. S, spent the first day of our week-long class discussing the director of the film we were to see and going over various production highlights. What may sound like a tedious hour and a half, was always engaging, which may or may not have something to do with the fact that I was a meticulous note taker. Nothing could have prepared me for the next day when Dr. S started Mulholland Dr. I was captivated and mesmerized by each image projected. Many students focused on their smartphones or did other work, free from the scolding of a professor whose motto was "you get out of art and this class what you want." I couldn't have focused on anything else if I tried. To this day, I have never been immersed in a film as much as I was through my first viewing of Mulholland Dr. When the lights were turned on after the first half of the film had finished, I left staring open-mouthed at what had been on-screen among the whispered "what the hell was that" coming from the students who had watched the feature. Noticing my intense reaction as I remained frozen in my seat, Dr. S asked me what I thought of the film. I simply responded with "I've never felt so affected by a movie in my life." I'll never forget the half-smile Dr. S displayed while coyly saying "there's one about every ten years, let's talk after we see the rest Thursday, I'd love to hear what you think." A week before, I would have been ecstatic just to stand out to the professor who taught a Shakespeare class I wanted to take. In this moment though, I probably couldn't have even told you who Shakespeare was. The rest of the evening, appropriately so, felt like a dream. I was preoccupied like I had never been before anxiously awaiting my next film class so I could see the rest of Mulholland Dr. When class finally met again, I raced into the room, this time seeking a seat in front for a better view. Sure enough, the film ended and I was perhaps more enamored than I had been in the previous class. Dr. S simply said to me, "Well?". I admitted that I could hardly articulate any coherent thoughts on it but that I was completely moved and felt like I needed more. The professor simply smiled at me to which I asked, "there's really only one person every ten years that likes this movie?" He responded, "No, people rarely like this film, but I think there is something more going on here, I brought you something, check it out and let me know what you think." Out of his bag, my professor pulled out a black DVD case with a striking image on the front of a startled looking man with sky-high hair. He warned me, "If you like this one, things are never going to be the same for you." Needless to say, I liked that one too, and he was right, nothing was ever the same for me, and it all started with Mulholland Dr.
Mulholland Dr., which many consider David Lynch's masterpiece, is even gaining traction as one of the best films ever made. Released in 2001, the film stars Naomi Watts, Laura Harring, and Justin Theroux. The story follows a woman after a car accident leaves her amnesiac with her only lifeline being a naive woman who just moved to Los Angeles to pursue her dreams of being an actress after winning a dance contest in her hometown. The longer the two women are together the more they discover about the murder attempt against the amnesiac woman who has taken to calling herself Rita (Laura Harring). Her naive friend Betty (Naomi Watts) looks at the whole ordeal as an adventure despite the fact that Rita's life hangs in the balance. Rita is even willing to put her acting dreams aside to attend to Rita and engage in some amateur sleuthing. From my first viewing, I have never cared whether or not I understood what was going on in Mulholland Dr., nor did I ever look at the plot as a puzzle that needed to be pieced together. I enjoy what David Lynch does with his art and am pleased to simply experience his output. 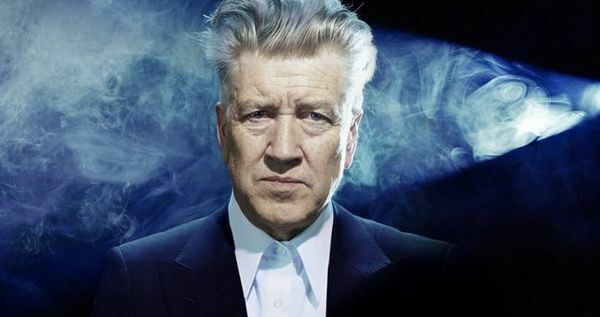 Of course, at this point in my life, I have whizzed through Lynch's entire filmography multiple times, and even through Mulholland Dr. isn't my favorite Lynch film, I have no problem admitting that it is probably his masterpiece. Lynch was on another level. Every aspect, each scene is perfect visual mastery. The one place that I find the most resistance to the perfection of the film are the people who claim that the opening scene is "weird for the sake of being weird" and unnecessary to the film. I wholeheartedly disagree with that assessment. The scene shows an insight into just how naive Betty was because we see her seem to truly believe that winning this dance contest was going to open doors in Hollywood for her. One of my favorite aspects of David Lynch's work is the fact that throughout his entire filmography you can see a similar thread running through each of his features yet he is not that director that is trying to recreate any of his previous films. I appreciate the newness of each of Lynch's films yet the familiarity of what I love about his work. I can't think of a more introspective filmmaker more capable of exploring an individual's failings in life and how it could have played out differently had career aspirations been realized better than David Lynch. 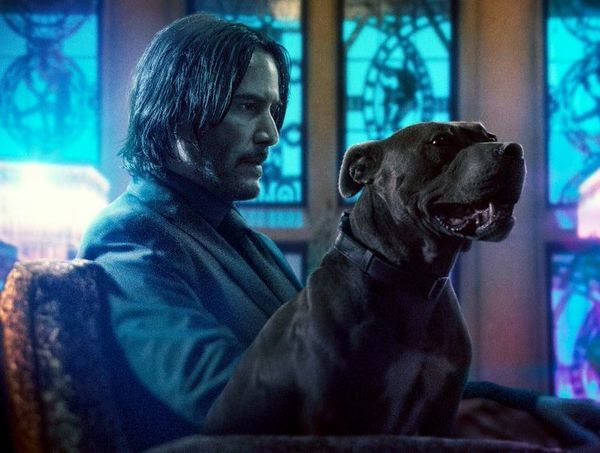 The way in which he displays repressed fears and mixes past and present, proving part of our memories to be false is not only an exceptional example of filmmaking but an exceptional example of artistry. It's incredible, on paper, nothing about Mulholland Dr. seems as if it will make sense, yet the complete product is perfect. The seamless way Lynch transitions between two realizations of a life is incredible. 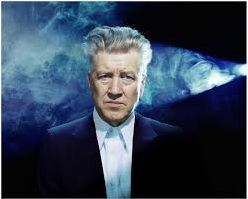 David Lynch is my all-time favorite filmmaker, yet, I find that I must be in the proper mindset to enjoy many of his films. Mulholland Dr., however, while it is not my favorite Lynch film, is one that I can watch anytime and will always be all-in on. Fun fact: my personal favorite tracking shot in cinema history is tucked inside Mulholland Dr., the shot into Club Silencio is just beautiful. 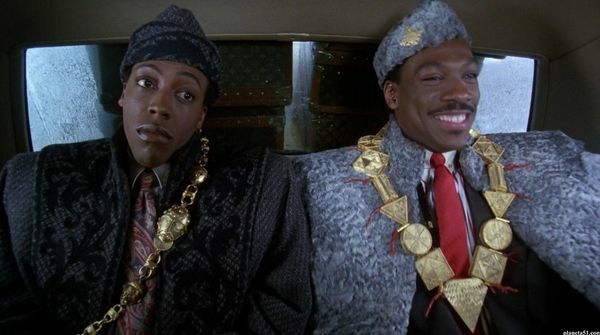 The whole film is incredible, and I firmly believe it is one of the best films of all-time. I don't know what my life would be like if I hadn't accidentally ended up in a film class on a semester when a Lynch film was being screened. I became a cinephile because of Mulholland Dr. and I couldn't be more thankful to Lynch and his art for inspiring that change in my existence. I am thankful to David Lynch for Mulholland Dr., more thankful to David Lynch for Eraserhead, and the most thankful to David Lynch for bringing cinema alive to my eyes and heart. I never did take that Shakespeare course; it conflicted with the same professor's Film as Literature class. The 1986 feature by notoriously challenging David Lynch, was an exercise for the auteur to dabble with the topics of voyeurism and kidnapping. Blue Velvet was the vehicle Lynch used to build a film around one of his most vivid childhood memories. As a young boy, Lynch witnessed a bloodied naked woman walking down the street close to his childhood home. What was her story? Why was she on the road naked and hurt? Lynch never knew, but Blue Velvet delves deep into the most idyllic of places and proves just how seedy of an underworld can exist where you least expect it. David Lynch, who even today describes himself simply as an Eagle Scout from Missoula Montana, has always been fascinated by what lurks below the surface. Growing up in one house resting behind a white picket fence after another, David was always in-tuned to the evil that may lurk beneath small town life. As Lynch has said: "I discovered that if one looks a little closer at this beautiful world, there are always red ants underneath." The time will come in every cinephile's life where they will want to watch and review their favorite film critically. If it fills one with as much anxiety as it did me, they'll put it off as long as I did. 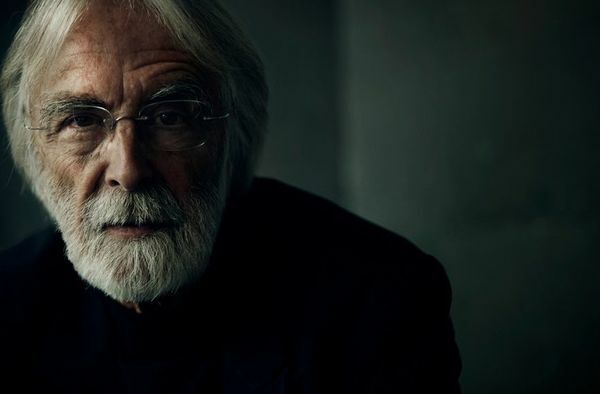 If Happy End is Michael Haneke merely regurgitating old material, as the world would have me believe, then he is a more exceptional director than I, a Haneke devotee had ever realized.